cat eyes & skinny jeans: pajamas. all. day. I like that idea very much today! Its a nippy 40 this morning. I didn't want to get up. But the dog did. Thanks for the suggestion. I just might do it. Love the quote. Happy Saturday!! 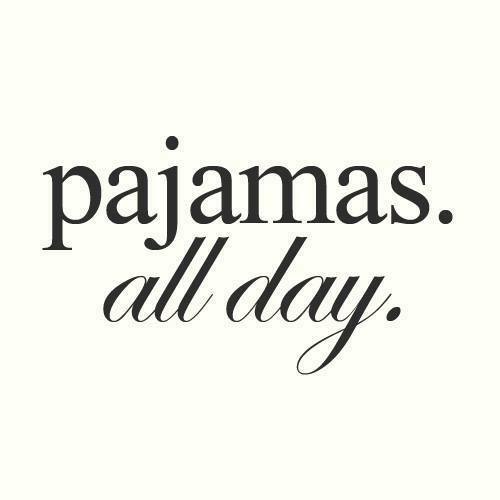 Ha ha I am all about this today and I am actually in my PJs as I write have a great weekend! Heh, thank you. Happy Saturday! Love! Hope you are having a wonderful weekend! Would you mind checking out mine and commenting on the last post? I would like to see what you think of it.